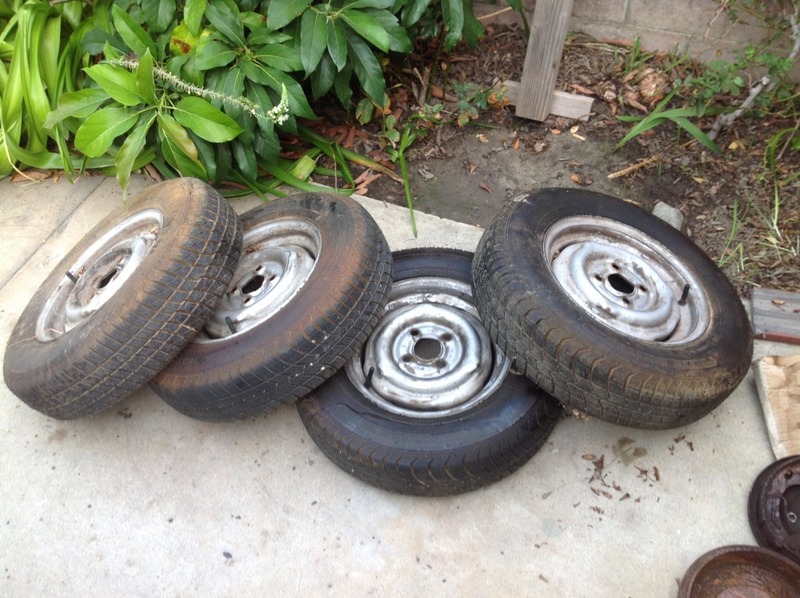 I have a full set of early 13" steel wheels with OK tires on them. They are marked 6/68 for the year code and there is 5 in total, only had 4 in picture. Make me any offer and they are yours. Local pick up only. The wheels are in good shape and just dirty. They are 4 1/2' s and I have someone who is supposed to buy them today or tomorrow . If that falls through I will let you know. I ended up selling them tonight. Thanks for inquiring.